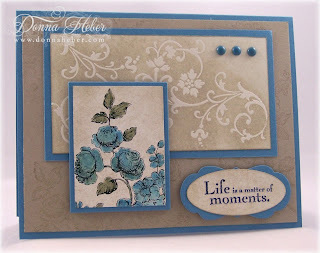 This card was for the SC291 challenge over at Splitcoaststampers. I really like this design sketch and will definitely be using it again! The flourishes were stamped with VersaMark on Whisper White and heat embossed with clear EP. I then sponged Sahara Sand all over the card stock. 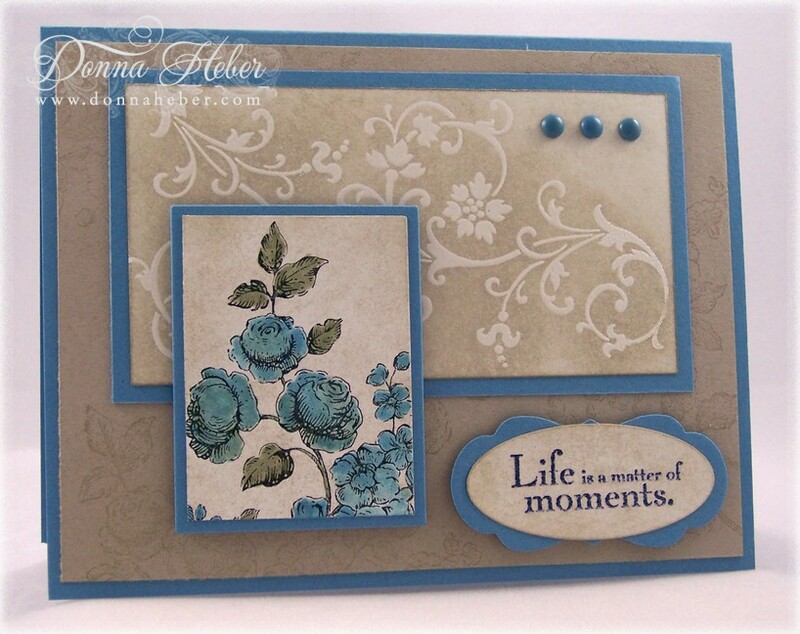 The flower image was stamped with StazOn Black and colored in with Marina Mist & Mellow Moss ink refills using my blender pen. I sponged around the image to give it a more vintage feel. At the last minute, I thought the Sahara Sand mat looked kind of plain so I sponged it with Sahara Sand to give it texture and then used my VersaMark to stamp a watermark of the flower image.